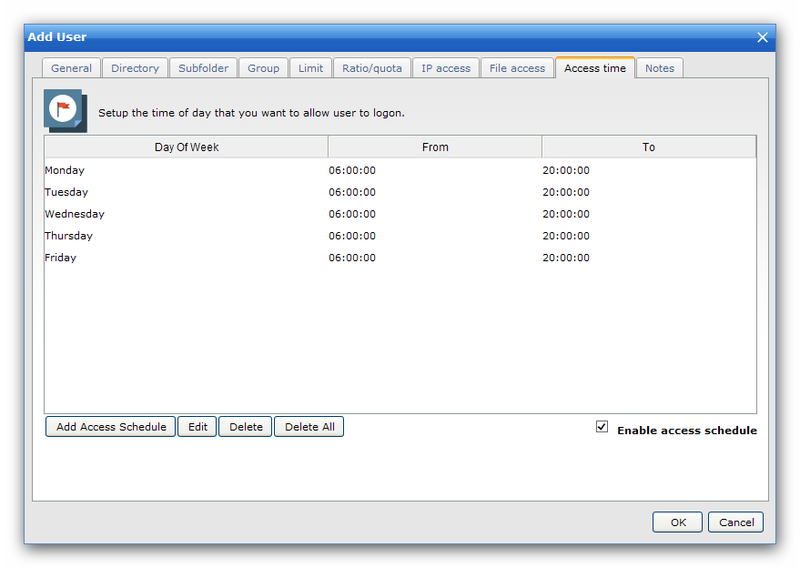 This feature enables you to define access time restriction for the user account. You can define the restriction globally or for each day independently. When you enable this option, you must add some rules for access time, otherwise this user will be banned. Activate or deactivate the restriction. Add "Access Time Schedule" for this user. This user can log in at your specified time. Delete the selected "Time Schedule"
Delete all "Time Schedule". This user can never log in again unless you disable "Access Time Schedule".